”] In the literary world Stephen King is a name brand for horror writers. I imagine there are few people in existence who don’t recognize his name or not know what he writes. Until I picked up my first Stephen King book, Carrie, I was mostly reading romance books and anything I could get my hands on concerning paranormal phenomena. Yeah, two very different genres I know, but one was for enjoyment, the other for survival! You see, I was living in a bona fide haunted house at the time and dealing with dead people. I needed to know how to protect myself from things going bump in the night (and sometimes during the day), and I needed to understand just what, exactly, was going on. Why was our house haunted? What on Earth did they (the ghosts) want? Why didn’t they float off to heaven and stay there? But, I digress. I read Carrie when I was in the eighth grade. My homeroom teacher was disgusted with the book and ordered me to take it home and not bring that filth back into his classroom. True story! He only read a few random pages, not sure what part turned him off so badly but needless to say, I was pretty surprised by the reaction. Can a teacher do that? Can they tell you what you can read on your own time even if you are at school? This, folks, was many years ago. I hesitate to admit how many but it was long before all the crap going on today in which every aspect of our lives (or so it seems!) is under attack by someone! I told my mom about my teacher’s reaction and she just piffed (my own word but I think you get the picture) it away. “Who cares what he thinks. I’m your mother and if you want to read that book, then read it.” Yeah, my mom was a great one for going all “mother bear” when it came to defending her “babies”. In any case, I did read the book and I enjoyed it so much that I went on to read more of King’s work. One of them became very influential on my life…The Shining. Speaking of which, I recently learned that King has a sequel to that book coming out in 2013 titled “Dr. Sleep“. I’m quite excited about that and can’t wait to read it! 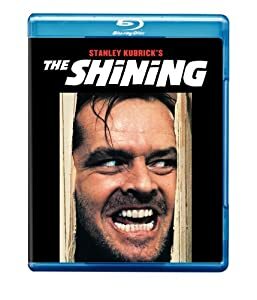 When I read “The Shining“, it scared the crap out of me. And strangely enough, I’m not talking about the mallet bashing psycho intent on whacking his poor family into the afterlife. No, it was all the ghosts hanging out at that hotel that scared me to death. I was, after all, living with a bunch of ghosts myself and here was a book where a family is dealing with the same thing. On a more evil scale of course. Thank God for small mercies, right? I have to admit, the one part that scared the bejeezus out of me was that danged dead woman in room 217. That, my friends, totally creeped me out! The Shining spurred my interest in reading other works of fiction in which ghosts were involved (it is only natural, is it not, that I would go on to write ghost stories myself?). You want to know a really cool thing about all this? I met Stephen King the summer after I read that book! I lived in Maine, he lived in Maine (a mere 15 miles away…not even a stone’s throw by Maine standards!). We were bound to meet at some point, right? Not. I got LUCKY! I was waitressing at a really cool place right on the shores of Alamoosic Lake (my best friend’s parents owned the place) and King rented the facilities to treat his family and friends to a bona fide Maine picnic complete with lobsters, steamed clams, crabs, shrimp…you name it, he had it on the menu. What a nice guy, right? So anyway, I’m standing behind the buffet line keeping a close eye on the food levels, making sure nothing runs low, and this man starts by that looks awfully darned familiar. My heart starts pounding (I was a teen at the time and quite impressed with celebrity anything) and I think to myself, “Is that Stephen King?” Then, realizing the unlikelihood of such a thing, immediately dismissed the thought, “No, of course that isn’t Stephen King. What would he be doing here?” But then the woman next to him said, “When’s your next book due out?” and I KNEW!! Instead of standing there gaping like a starstruck idiot, I ran for the kitchen and grabbed my friend. “Stephen King is going through the buffet line!” Of course she didn’t believe me and headed for the buffet line post haste to see for herself. Seconds later she returns and heads for her father (head chef for the day). “Dad, is Stephen King supposed to be here today?” Her dad is clueless. “Who?” And once he realizes how excited we are, he offers to go get the check because now that he thinks of it, he did seem to recall that the man paying for the event was somewhat well known. Somewhat well known? Seriously? Once it was confirmed, my friend and I commenced to spy, covertly of course, on the famous man within our midst. Was he normal? Was he as weird as his books? He did write some pretty bizarre stuff after all. NO WAY! Oh yes. Way. Stephen King gallantly kissed our soapy hands, chatted with us for a bit and then thanked us for doing such a great job. Yeah…(sigh)…he really is a nice man. When the movie for The Shining came out, I went to see it for my birthday. It was, I’ll admit, my first ever date (with a real boy and everything!) The movie disappointed me somewhat because they (Hollywood) changed it so much but the scenery was magnificent! I decided right then and there that I wanted to go to Colorado. A year later, I joined the US Air Force. I mentioned in another post (Military Lessons: Yes I Can and So Can You!) that I entered a career field which had recently opened to women, it’s primary job was bomb building and the like. I wasn’t all that enthused to work with explosives until my recruiter said the magic words. “You’ll be attending your technical training at Lowry Air Force Base in Denver, Colorado.” Colorado?! “I’ll take it,” I said and just like that, I made a career decision that was to affect me for the next 20 years, 5 months and 17 days. A decision, mind you, based on a Stephen King novel (because it was the book, after all, that led to the movie). Shortly after arriving to basic training, I was pulled aside by an important looking official who proceeded to offer me a different job. My first question, “Where is the school for it?” The man, very obviously convinced that this other job was a much better career choice, said, “California.” And I made another decision based on that dang movie (and thus, the book!). “I don’t want to go to California, I want to go to Colorado.” The man looked at me as if I were daft (and yes, I can say now that I was). “You are basing your decision on the state in which the school is located?” I could feel my face go hot because it did sound stupid and I didn’t like looking stupid. Who does? But I remained firm with my decision. It was something I would live to regret but you know, things go how they are supposed to go. Looking back, I wouldn’t change a single, solitary thing. I do think it interesting how things can influence us so profoundly (though we don’t really realize it at the time) and how differently our lives can go based on those influences. Mine took a pretty drastic turn because of a book I read. That, my friends, is the power of a book! Until another time, blessings to all and Peace Out!! Cool! If I live in West Virginia but if I lived in Maine I would totally always be keeping an eye out for him! This was really interesting, I loved hearing how you met him – and meeting heroes ca be disappointing, but he sounds like real class. I guess you met the young Joe Hill there, too! Really enjoyed hearing about this. What inspires and speak to you as a teenager really can affect your whole life, and I was especially impressed that The Shining influenced your move to Colorado. Doesn’t seem far-fetched at all that this guide in direction came from the interest you had. Signposted, even. I’m currently catching up on some of King’s back catalogue (c/o/brother’s girlfriend who’s an even bigger King fan), but I did read Carrie when I was a teenager and have worked my way through a fair few. Most recently I read (and reviewed) Just After Sunset. The guy is a genius. One day, I will get around to reading all the Dark Tower books, too. Hi, Joanna! You know, the only son that sticks out in my mind as being at that party was Owen. He was quite young and running around like little kids a wont to do. King chased him around playfully and I remember him saying at one point, “Earth to Owen, Earth to Owen” and then swinging him up into the air while Owen squealed with delight. I remember thinking, what a lucky kid. King had a great aura about him…one that was very pleasant, gave you a good feeling to be in his presence and you just knew he was here (on Earth) for a grand reason. It’s so strange to think about how much influence the man has had on my life and he’ll never know it. Maybe we’ll meet again in the afterlife and discuss it. (smile) Glad you stopped by and enjoyed the post! Thanks for taking the time to chat with me a bit. Take care and good luck with all that reading!! Oh, what a great story. I really love when writers have the guts to be so honest and to give so much of themselves. You absolutely have my attention, and I feel like Peter in 2nd grade listening to my fab math teacher (he was so great telling stories) I almost sad feel sad when the story comes to an end. I could have read over an hour about your meeting with Stephen and the details about your haunted house (I hope there’s more of that in the other posts?) You’re descriptions are so well, that I – again – can see Stephen and you girls in the kitchen, just like a movie. Keep up the good work, D.
Gee, Peter…you are great for boosting one’s confidence and making them feel good aren’t you? I do appreciate you letting me know how much you are enjoying my posts! The earliest posts are all about my haunted house experiences. I’ll be rehashing them in future posts but expanding on them a bit and only focusing on one event at a time instead of grouping so much stuff together. Thanks for reading my blog and leaving these awesome comments!! Blessings to you!! I knew that I wanted to be a writer when I was eight and I found a book called The Talisman in my mom’s room. I was curious as to what a book this thick could possibly be about. It took me a while cause I had to look up some of the words that I had not yet learned but thanks to Stephen King, My vocabulary is huge. By the time, I finished, I knew that I wanted to take people on wild adventures while they sat in their living room. From that day forward, I read them all, every Stephen King I could get my hands on just soaking up everything that I could. I would probably work at a bank or something equally as mundane if not for Stephen King. So! We both knew around the same age that we wanted to be writers! I had a pretty good vocabulary at a young age because of all the reading I did outside my age bracket. I read whatever book my mom brought home (mostly Harlequins) but sometimes she’d bring home other stuff. When I could get my own books, I usually had stacks of them in my room. If I went to the library, I took the maximum allowed amount. (smile) Yard sales were great for buying books! I could use my allowance money and buy bags of them! I haven’t read all of King’s books but I’ve read quite a few. It only took ONE of those books to influence my life so drastically! I’m glad you realized your “calling” early in life! Some people go through their whole lives not know what they want to do. Thanks for visiting my blog and taking the time to share your story!! Blessings! Very much enjoyed your story. Thanks. I’ve recently reread Carrie, and am currently reading his book On Writing, which I’m finding really helpful for my own work. I loved “On Writing”! I found him to be amusing in that book and I hadn’t known King to be so funny, though I did see a glimpse of that during the party I helped cater for him. I’ve got several quotes highlighted and one of them really jumped out at me. He said (paraphrasing) “If God gave you a gift, why in God’s name aren’t you using it?” Writing must be my gift, I’ve been doing it since I could and it’s almost an obsession with me at times. Growing up through school, I couldn’t stand to have a blank piece of paper in front of me…I just HAD to start a story on it! I’ve a box (literally, no exaggeration!) FULL of stories I’ve started. I should dig around through them and see if I want to bring them out and go with it…but, I’ve so many in my head, I don’t know that I’d have the time. Good luck with your own writing dreams!! Blessings!! What a great story! Stephen King is a true master — meeting him would be a thrill. His fiction is among my favorites, but his “On Writing” is my favorite book on the craft. Hey, did you come away with an autograph of your own? Totally agree with you about “On Writing!” I LOVE that book. I would recommend every writer should read it regardless of the genre they write. It was a thrill meeting him. Then to find out how nice he was…more thrilling! I never did get his autograph (sad face). But, I have a great memory of him and that means more! Good luck to you on your own dreams!! Thanks for stopping by. Blessings! Great story. Thanks for sharing it. I met Stephen King years ago when he was doing a book tour for THE DEAD ZONE. Afterward, I was buzzing around with my camera, taking photos as he was signing books. He noticed what I was doing, and just as I framed a shot, he turned, looked into the camera and posed with his pen over an open book. I thought it was kind of cool that he would do that. See? He really is a nice guy! He’s well liked here in the woods of Maine, we are all so proud of him and the fact he’s a true “Mainiac”. (smile) Checked out your blog and look forward to reading future posts! Thanks for stopping by mine and sharing your story. Awesome story. I have my own blog on how Stephen King affected my life (I was unfortunate enough to be named Carrie, so that I decided NOT to run for prom queen, EVER), but I was never lucky enough to meet him in person. I’m delighted to find out that he was charming to his fans! It is amazing, the power of just one book, to change a person’s life. As it happens, Carrie…I have a daughter named Carrie! I didn’t name her after King’s book, though. She’s named after my dear Nana. It’s an awesome name, which is why he probably chose it! I’ll have to check out your blog. Thanks for stopping by and sharing! I am still that way…star struck…and I get my feeding at the Star Trek Convention each year. Somehow, I manage to find myself on an elevator or at the next table from some of my favorite actors. Silly but a real thrill! Not silly at all! It is thrilling to be near someone who has accomplished things we admire!! A lot of that “thrill” is the respect and admiration we feel for them.